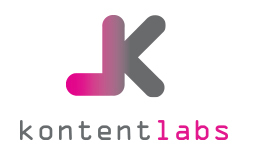 For Kontentlabs.com.au, we do not collect Personal Information about you when you visit this online service. For Kommunitylabs.com, we collect your Name, Email address and your Password is encrypted. You can use this service (kontentlabs.com.au) without telling us who you are or revealing other Personal Information. If you send us a contact or feedback form you do not need to identify yourself or use your real name. Other than circumstances such as unlawful activity or serious threats to health and safety, we do not share Personal Information with any other organisation or government agencies. You may opt out of further contact from us at any time. This online service is securely hosted in Australia via Amazon Web Services. To help protect the privacy of data and personal information we collect and hold, we maintain physical, technical and administrative safeguards. We update and test our security technology on an ongoing basis.